The Jewish Museum in Berlin currently has an exhibition about the popular hobby of collecting stamp-sized images used mainly for corporate and product advertising. The website explains that “before the First World War, millions of these stamps were in circulation, sparking a veritable ‘collecting mania’”. The photo illustrating the contents of the exhibition is of a toucan holding ties in its beak. 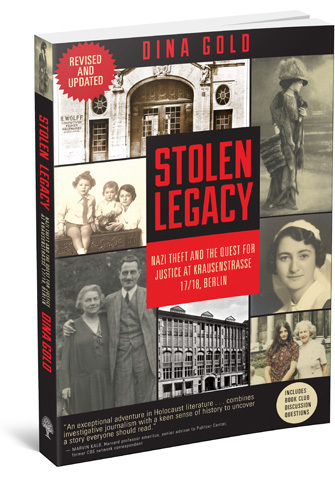 What people do not know is that Hermanns & Froitzheim rented office space in Krausenstrasse 17/18 – the building at the center of “Stolen Legacy”.